Sam Elias has an excellent post on his blog reflecting on what he’s been up to the past several months. Recently he’s been in Rifle where he’s done several 5.14s including the FA of Rorschach Test (5.14b) and Class Act (5.14a). In other Rifle news, Joe Kinder did the 3rd ascent of Steve Hong’s Planet X (5.14b). According to her scorecard Alizée Dufraisse repeated Scarface (5.14a) at Smith Rocks, OR. The season at Mt. Evans’ Lincoln Lake is now officially over. The pair of Hukkataival and Cardwell seized the prime late season conditions to repeat a slew of V12-13 problems, suggesting downgrades for a couple of them. Read the full rundown on their respective scorecards linked above. According to his scorecard Vasya Vorotnikov did the FA of an old project at the New River Gorge calling it The Prow and suggesting a grade of 5.14a. 24 Hours of Horseshoe Hell went down the other weekend at Arkansas’ Horseshoe Canyon Ranch with some guy named Alex Honnold “winning” after climbing an absurd 5,830 feet of 5.8 to 5.13 during the 24 hours of hell. Major props to anyone who could climb for the full 24 hours though. I’m pretty sure I would permanently lose the use of at least 4 fingers if I tried to do it myself. A couple of reports from people who did pull it off can be read here and here. Carline Treadway interviewed Jamie Emerson for the most recent issue of Urban Climber and posted the extended interview here. The Black Diamond QC Lab has another warning worth heeding, this time about the dangers of climbing on fixed draws. The BD post came about after a climber decked at the Red River Gorge when their rope was completely cut when they fell on the first draw of a route. This makes me super psyched to see the Uli stuff on the Reel Rock Tour. Spent over an hour going through this really truly amazing post. Thanks Narc! great post as always narc but i have to admit that alex johnson interview was the chossiest thing ive read in a bit…like ungodly terrible and puccio on the cover of outside????? haha thats just funny. What was “chossy” about it? Having met Alex on multiple occasions I think he is one of the nicest, most down to earth kids and I thought the interview did a nice job showing that. total lack of climbing in the interview i dont care about socks and talking about first black ascents is just stupid and i cant stress how stupid that really is. i mean i shouldnt be shocked considering it came from dpm but really? id much prefer to hear about his training, thoughts on climbing comps, anything regarding the midwest/local craggin, include climbing pictures instead of those dumb car pictures, etc etc. all in all i just wanted to hear about climbing and that didnt happen and that makes me sad. the first black ascent thing was sort of a silly joke, but as a black climber myself, i think it highlights an interesting point about the demographics of the climbing world. From my perspective, the fact that, for example i have been the only black person at virtually every climbing related event i have ever been too is certainly worth talking about, and i was thrilled to see the issue (sort of) mentioned in the climbing media. cd..you bring a good point. when i was growing up my mother always made sure stuff like that didnt matter and never even to focus on it…for some we just dont even see color so it wouldnt matter who got a f.b.a. any person is just whoever making an ascent. same with f.f.a ascents in my book no one is different. just a funny thing i was never into that i get bummed about seeing in climbing media! Side note it would be interesting to maybe see a tasteful article done about african american climbers…Narc with your vast climbing knowledge do you have any info on the said subject? I’ve also had thoughts about race issues in climbing (at one point I considered referring to myself as a “Climber of Color”, but then I realized that we’d be a bunch of COC’s and that seemed inappropriate). How many others are out there? Obe Carrion? Said Belhaj? cd? Nobody else comes to mind and that’s kinda pathetic. 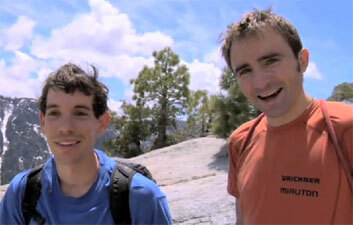 And to pick up on Greg’s side note, I’d love to see one of the climbing mags do a piece on race. Actually, I’d love to see a whole issue on the impacts that climbers have had on society & vice versa. Climbing is one of those activities that has a lot of self-centered & insignificant aspects, but it has a lot of communal & egalitarian-ish aspects also. I gotta believe that there are folks out there who’ve used climbing to do something beyond replacing bolts and protecting access. And I believe that our society has shaped the climbing community in more complex ways than most of us realize. PS- mad props to everyone out there replacing bolts and protecting access.